Dr. Costello is a professor of Environmental and Resource Economics at the University of California Santa Barbara’s Bren School. 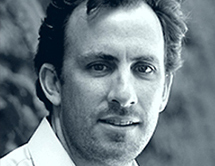 Upon receiving his Ph.D. from UC Berkeley in 2000, Costello went on to focus on the economics of environmental regulation and natural resource management under conditions of uncertainty. He is a ground breaking environmental economist and co-founder of the ‘Sustainable Fisheries Group’, whose practical purpose is to combine economics and ecology to inform sustainable and prosperous solutions in the oceans. Dr. Costello believes that a persistent barrier to the sustainability of marine resources stems from the common assumption that there is an inherent tradeoff between conservation and socioeconomic goals. The Sustainable Fisheries Group—proving that this is not the case—is working to better align marine conservation and economic incentives that enhance the health of both the fish and the fishermen. Dr. Costello uses knowledge and insights from unrelated fields bringing together many disciplines, including statistics, ecology, biogeography, and mathematics in an innovative way to develop new ways to align protected marine reserves and sustainable local fishing efforts. Working with academic and advocacy partners, Dr. Costello has developed ways to align marine reserves and sustainable local fishing in tropical coastal nations including Indonesia, the Philippines, and Ecuador, and has produced interdisciplinary research informing other scalable and sustainable solutions for the world’s fisheries. Dr. Costello serves on several boards including Monterey Bay Aquarium’s Seafood Watch Science Advisory Board and Environmental Defense Fund’s Board of Trustees, and has published over 80 peer-reviewed papers in journals such as Science, Nature, and the Proceedings of the National Academy of Sciences.